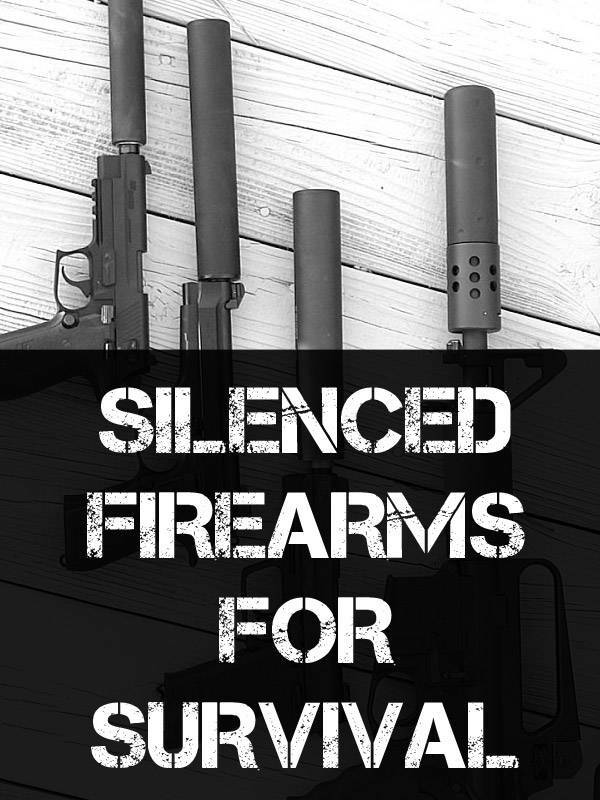 If you are in a situation where the discharge and report of your firearm carries inherent risk owing to disturbance, adding a silencer (AKA suppressor) is the ideal solution to mitigate those risks. Lessening the noise, or report, of a gun is mechanically very simple, and aside from the cost of the “can” itself only requires an obligatory $200 tax stamp and protracted wait time to get BATFE approval. Nearly anyone in a short or long term survival situation will benefit from having a suppressor on their gun. If you have shied away from procuring silencers due to the perceived difficulty of acquiring the device or make necessary modifications to your host firearm, this article should put those considerations to bed. We will explore how suppressors work, the basics of acquiring one legally, and examine an overview of some firearms that yield themselves particularly well to being suppressed, and especially for the purposes of a survival situation. Keep your ear-muffs on for now, though, and read on. Before we delve into the core of our article, I will address the naming convention around suppressors and silencers. The short version is that the two terms are synonymous, but most gun owners and professionals will fall into one camp or the other for use, and mildly berate whoever uses the opposite. In point of fact, Hiram Percy Maxim (son of Hiram Smith Maxim, of Maxim machine gun fame) invented the first firearm silencer, and it was named as such by him. The common use of the word ‘suppressor’ did not surface until sometime after these devices were common. The federal government also classifies and regulates such devices as “firearm silencers and mufflers,” so there is that to consider. I think it is only right to allow the inventor of something to dictate the name of his invention, but nevertheless, both words are in common usage. “Firearm muffler” just sounds clumsy. “Can” is slang for a suppressor or silencer. “Suppressor” is technically a more accurate descriptor of such things, considering a silenced gun is far from silent, and is probably why it is so common among firearm nomenclature sticklers. Bottom Line: “Silencer” and “Suppressor” are both perfectly acceptable terms and anyone who insists you use one or the other knows exactly what you mean and is simply being pretentious, and you should inform them of the fact. I will stick with suppressor for the remainder of the article. Moving on! A suppressor reduces the report of a firearm by moderating and reducing one of the chief factors contributing to noise at the muzzle, which is blast; the expelled, hot propellant gasses being emitted from the muzzle behind the bullet. The other chief factor is the supersonic crack of a bullet breaking the sound barrier- more on that in a minute. The aforementioned gasses, when unchecked, erupt from the muzzle of the gun in their characteristic, skull-rattling boom. By containing these gasses, giving them room to expand, slow and cool somewhat before reaching the atmosphere, the report at the muzzle can be greatly reduced or eliminated, depending on the combination of suppressor, host firearm and cartridge used. This is very similar in operation to the muffler on a car, and interestingly the inventor of the first silencer also designed mufflers for automobiles (that he also called silencers, ha!). 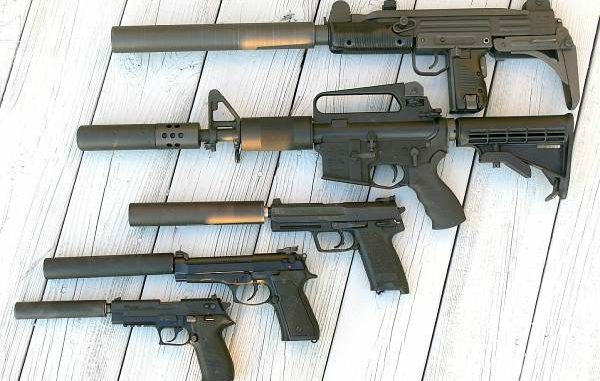 Suppressors do great at reducing the report of most guns to less than ear-splitting intensity, but the report will still likely be far from the library-whisper “Hollywood” suppressors that make a tinny thwip and nothing else. The “loudness” of this report is measured in the standard unit of decibels, or dB, and suppressor efficiency is rated according to decibel reduction at the muzzle. Note that this value given by any manufacturers is slightly variable depending on the gun and ammo combination and ambient atmospheric conditions. The other major factor, mentioned earlier, that contributes to the noise of a gunshot is the supersonic signature, or crack, of a high-velocity bullet. This noise is usually less intense than the muzzle blast, but is still very loud, and the farthest thing from quiet. Because it is generated by the bullet itself breaking the sound barrier, the only way to eliminate this factor is to either use slow “subsonic” ammunition, or one of the very few specially suppressed guns designed to actually bleed off the gasses behind the bullet while it is still in the bore, reducing it to a speed slower than sound before it exits the barrel. Note that many cartridges are so fast supersonic is inherent to the design, and reducing the velocity of the bullet by reducing the powder charge substantially can actually create functionality issues, especially in semi- and full-automatic guns. Other cartridges are slower than sound by nature, and so need not worry about supersonic signature. If one desires a very quiet suppressor and gun combination, one of these slower cartridges may be ideal. Some cartridges, especially for handguns, can be had in either subsonic or supersonic varieties depending on the weight of the bullet and load. As far as the design of the suppressor itself, the internal configuration of the chambers and baffles that slow and route the gasses vary depending on the type and manufacturer. This is not entirely important to our discussion here, but suffice to say some work better than others. The attachment method for connecting it to the host firearm also varies, but is typically a thread-on design for pistols and the rare shotgun suppressors, and one of several common “quick-detach,” or QD, methods for rifles, which again vary depending on the manufacturer and muzzle device. These methods are not universal! You must know exactly how you will mount your suppressor to a host firearm and set it up accordingly. For all the dizzying variation among them, for the novice this boils down to a simple call or chat with a suppressor manufacturer before purchase, and is nothing to obsess over. The most obvious benefit of suppressing a firearm is the reduced, sometimes greatly reduced report of the shot. Your neighbors near the range will appreciate it. This might translate into saving your hearing, and that of your family in a self-defense situation. It allows better communication among police when their words are not being drowned out by gunfire. It might mean less spooking of game on hunting land. It may prevent a shooter from being located when firing from a hide, due to less noise and disturbance from blast around the gun. If firing at a distant threat with a suppressed rifle, they may be confused by the seemingly conflicting information reported by their ears; the report, if heard, will sound farther away, and be harder to locate, while the crack left in the wake of the supersonic bullet, if it passes them, will be heard to the side or rear. 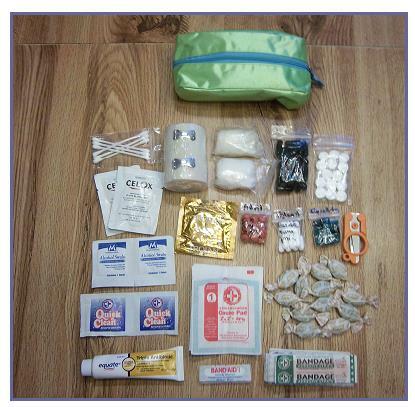 These two factors are more germane to military or certain law enforcement vocations than the average citizen prepper, but it pays to know the full benefits of a piece of kit should you ever find yourself in extremis. It is not hard to see how much is gained from adding a suppressor to a firearm. Aside from the cost and acquisition drawbacks mentioned earlier, the only other factor to consider is the increase in overall length and bulk of the host firearm. This may or may not be an issue depending on your application. Carrying a suppressed handgun concealed is no simple trick for most, and a 16” barreled rifle becomes much less handy with another 7-8” added to it. Think carefully about your intended use, and let that guide your choice and modification of the host firearm. Suppressors and suppressor theory is a pursuit distinct from guns in itself. I could handily turn this article into a long diatribe on the life, times and future of suppressors and how to wring every last decibel of reduction from one. Instead, I will go over the perks, flaws and suitability of common cartridges, firearm action types and suppressor classes, and the way they interact with each other, which is really where the magic is if you are seeking a very quiet setup. We’ll cover action types first, then cartridges and finally the classes of suppressors. Keep in mind, reader, that nearly any conceivable combination of action and cartridge can be suppressed, but not all those combinations are effective, or even viable. Semi-automatic- Suitable for suppression. Typical attachment will be by factory or aftermarket barrel with threaded muzzle, occasionally a QD mount. Typical handgun suppressors, depending on the host design, must make use of a Nielsen Device, or muzzle booster, to offset the weight of the suppressor hanging off the barrel retarding the action. Note that the noise of the gun cycling and ejecting is not insignificant. Bolt Action or Single Shot- very suitable for suppression owing to action being well-sealed when in battery and no reciprocating parts or ejecting cases on firing. Typical attachment method today is QD, sometimes thread-on. Lever Action- suitable for suppression. Can be very quiet if chambered in pistol cartridge or subsonic rifle cartridge. Typical attachment method today is thread-on. Semi-automatic- suitable for suppression. Reciprocating action and ejection does create noise. May need tuning for reliability depending on host design and suppressor match, may create issues with gas overpressure. Biggest issue is rifle rounds typically supersonic. Typical attachment method today is QD, sometimes thread-on. Full-automatic- suitable for suppression as above, but suppressor will need to be of higher grade to withstand rigorous firing schedule. Single Shot- suitable for suppression. Surprisingly quiet with right load. Attachment will be via thread-on choke-type mount. Double-Barrel- not suitable for suppression. Insufficient space between barrels to mount suppressors. Pump action- suitable for suppression. Surprisingly quiet with right load. Attachment will be via thread-on choke-type mount. Semi-automatic- suitable for suppression. May need tuning for reliability depending on host design. Attachment will be via thread-on choke-type mount. *Note: Shotgun suppressors have only recently become commercially viable, with the flagship design being offered by Silencer Co., the Salvo 12. Don’t get too wrapped up on trying to figure out if your gun can mount a suppressor. A simple call to any one of the major manufacturers will determine that with certainty, and more importantly, nearly any modern handgun or rifle will with minimal modification. Most any cartridge and gun will benefit from adding a suppressor, but if one desires a truly quiet combination, you can narrow it down to a few choices, noted below. Remember, the supersonic crack of a bullet is the other major factor contributing to noise upon firing, so any gun that utilizes a supersonic cartridge will present that signature on firing. The rule of thumb for supersonic velocity is approximately 1150 feet per second at sea level. Use that as a coarse guide for determining if a factory load of any cartridge is supersonic. I will cover most common cartridges below. .22 LR- Supersonic, but easily had in subsonic. With the right suppressor and ammo can get very close to “Hollywood” quiet. Can make superb small game hunting and pest removal solution. 9mm Para.- Most loads are supersonic, but some can be found that are subsonic by design. May require testing and tuning to find consistently reliable subsonic load and suppressor combo. Nearly any modern service handgun can be set up for suppression and more and more factory guns come stock with threaded barrels standard or as an option. .40 S&W- The .40’s popularity is dwindling, but still a common host. Lighter bullet weights are typically supersonic, 160-165 grain loads vary and nearly all 180 grain loads are subsonic. .45ACP- A classic choice for quiet types. Most loads inherently subsonic. Makes a great cartridge in handgun, submachine gun or pistol-caliber carbine for very quiet work. 5.56x45mm / 5.45x39mm- Inherently supersonic. Subsonic loads for use in semi-auto rifles present huge functionality hurdles. Suppressor will tame deafening muzzle-blast, but supersonic crack still quite loud. .300 AAC Blackout, or .300 Blk- Supersonic or subsonic. Niche cartridge, but has some merit as a dedicated subsonic setup. Mentioned here as one of its primary design objectives was to offer reliable .30 caliber suppressed performance in M4 carbine family of weapons. .308 Win. / 7.62x51mm- Inherently supersonic. Same principle as 5.56mm applies here. 12 Ga.- Varies by shot/projectile type and load, typically supersonic. As for the variety of other rifle and handgun cartridges, rest assured that there is in all likelihood a suppressor for it out there. Whether or not your given host is suitable for it is another story; generally speaking, the more popular the host gun, or widely adopted it is, will mean it is more likely to have an off the shelf solution available. Suppressors are designed to function on a pistol, a rifle or a shotgun. Some suppressors are designed to function on a rifle or a pistol, sometimes called multi-use suppressors. Typically, a suppressor will function with the cartridge it was designed for, and smaller (but not always!) with a small loss of efficiency. Depending on the make and model, it could be made to disassemble, allowing the user to service and maintain it, or not, being serviceable primarily only at the factory. You will see info on compatibility listed plainly with most suppressor product info. Must be legally able to purchase and own firearm. Purchaser must be 21 years old. Purchaser must pay $200 transfer tax per suppressor to the BATFE. There are a few more hoops to jump through, like notifying the chief law enforcement officer in your jurisdiction about taking possession of the item. That sounds bad, but before 2016 you either had to get permission from that law enforcement officer to take possession (resulting in de facto bans in some areas when permission was never granted) or take possession in either a trust or corporation, which is still an option and may be best depending on how you want to protect your asset. You will of course have to submit paperwork, photographs and fingerprints. Expect a wait time of months to a year before you can take possession of your new suppressor. If all this talk of bureaucracy is making you sweat, don’t fear: many suppressor dealers and manufacturers have extensive experience with getting new owners up to par painlessly. Once you have made the decision to purchase a given model, give them a call and let them get you going down the path to ownership with a minimum of stress. While tedious and expensive to acquire, the practical and tactical benefits of a suppressor make the process worthwhile. Suppressors increase safety, efficiency and reduce hazards when engaged in nearly any type of shooting. Make the commitment to obtain one if the benefit to your objective is worth the financial and time investment. Some considerations in this article were simplified for brevity and ease of reading. Below you will find several links to manufacturers and organizations that can explain use, ownership and legal considerations in greater detail. I suggest you look at them. There are currently 8 states plus DC which currently have suppressors illegal, and another with a bill in process which would make the 9th state. Aside from the bureaucracy involved in getting a “can”, there are potential problems in owning one as well. A lot of these problems can be avoided by having a properly written NFA Trust. You’ll need to make up your mind in advance though, since you can’t change from one to the other without going through the time and cost of the transfer process again.